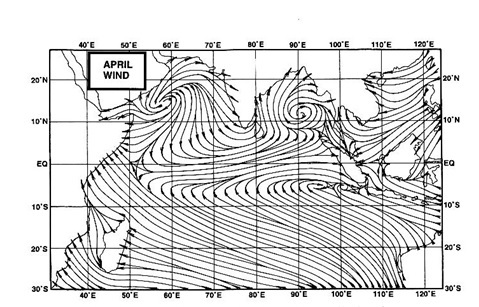 A lot was expected from Cyclone Jal for a good revival, or should I say commencemnt, of the NEM. But, short of hitting the East coast of India, Jal started its anomalous behaviour. Short of striking the east coast, on the 4th. of November, it met with wind shear resistance, and started weakening, and struck the coast as a DD on the 7th. A dryish DD ! The rain precipitation was nothing much, and lasted just for barely 12 hrs. Within 10 hrs of landfall, we were searching for Jal ! On re emerging in the Arabian Sea, on the 9th, its performance was again "unworthy" of the season. It did justice with fairly good rains along the west coast ! Karwar with 207 mms in 24 hrs was the highest. And several places in Goa and Konkan had 80- 150 mms. Then it entered Saurashtra, where actually the people are looking to dry weather, lest their winter crops get damaged. But, on the 11th, it rained 60-70 mms in the desert region of Kutch and Jaisalmer.Central India too received heavy thundershowers. Not to mention Mumbai, which has been receiving frequent rains from Diwali day. Today, 12th.Friday, there was drizzling in Mumbai. And, the clouding, spreading north, has practically thrown the winter in the region for a toss.High day and night temperatures, up to +10c above normal are recorded in the NW. No W.D. seen for NW soon. And, the south, T.N. and interior Karnataka, are still awaiting a proper commencement of the NEM. All hopes on another system from the Bay. Nothing in sight as on today, and no system formation seen till Monday, at least. I only hope the expectations of a good system doesnt fizzle out. I mention this, as I see an Easterly wave. a mild one, coming towards the T.N. coast by Monday (15th.) . This would only mean a longer wait for a regular system. "Did You Know" page up dated. http://wxmaps.org/pix/prec6.html This model shows a rainy november for mumbai!! do you agree? Tejas,sure the model shows rains upto 29y=th Nov. But its based on long term presumptions of a low from the bay travelling thru central india etc. I generally do not bank much on 2 week estimates,as they can change , and that too drastically. My Mumbai forecast on the page would restrict to mqx 4 days, though i can give 10 days, but dont like to change often. up tonite. I take many calculations into account.